The Gunnplexer system is a combination of a microwave oscillator (based on the Gunn diode) with a mixer (Schottky diode). There are some variations on this architecture, but each Gunnplexer system has at least these components. In the Gunnplexer operating at 10 GHz and at higher frequencies, the entire microwave system is embedded in a waveguide, and the antenna, usually horn type, completes the system. The figure below shows a typical physical layout and a principle diagram, although specific configurations may vary with respect to this layout. John B. Gunn originally designed this diode microwave source in 1960. When the applied voltage is increased, the current continues to rise up to a point called the threshold voltage. If the applied voltage is increased beyond this point, the current starts to decrease and continues to do so until it reaches the breakdown voltage. 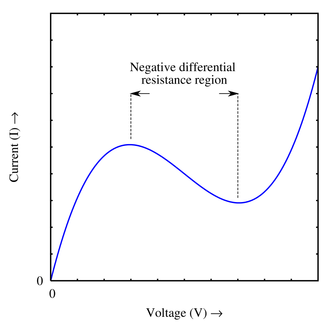 The portion of the curve where the voltage and the current is moving in opposite directions is called the negative resistance region. If the device is inserted in a resonant circuit and driven by a direct voltage in this region, it will give rise to a RF emission. Typical power levels are 5 or 10 mW, but are also available devices of 100mW. The best operation voltage is about three times the threshold voltage. 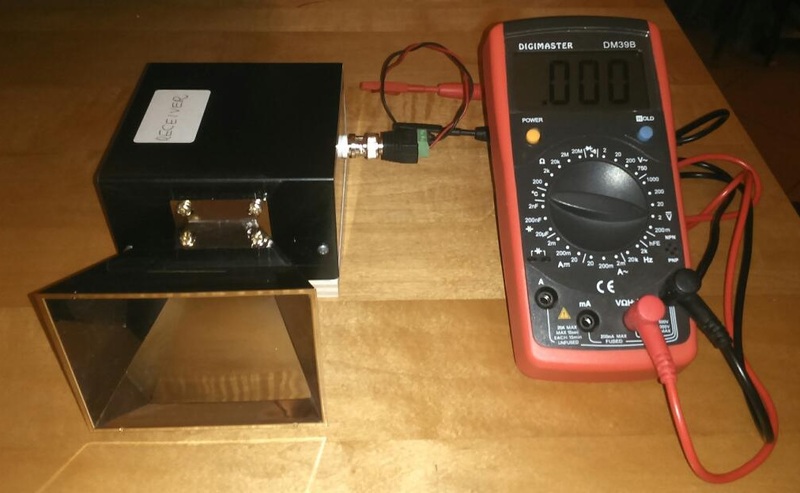 Gunn diodes with frequencies up to about 100GHz can be designed and manufactured. As in any free-running oscillator, mechanical stability, constant load, constant temperature and stable voltage are necessary for a proper functioning. 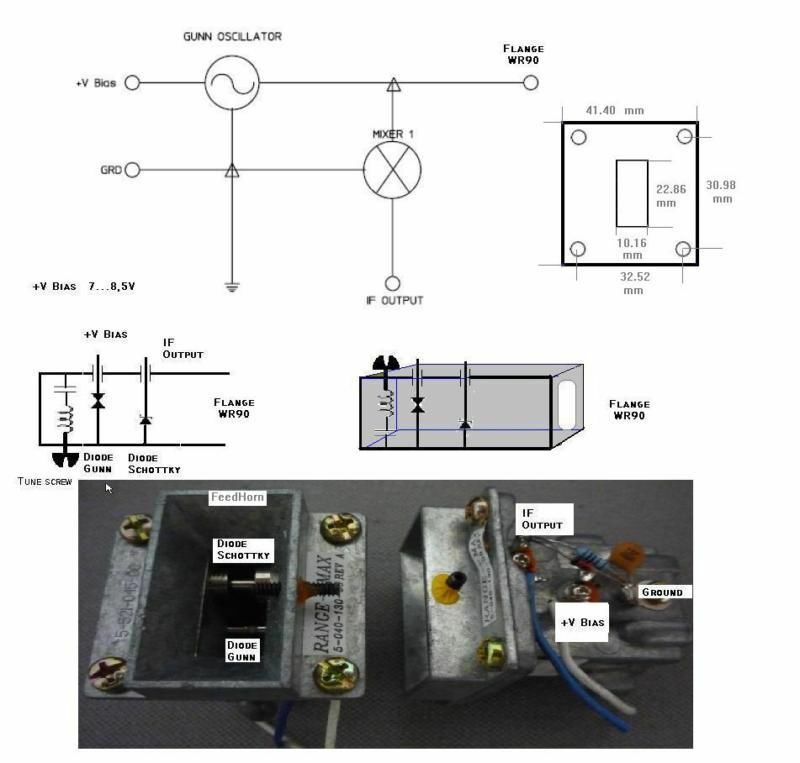 In practical terms, a free-running 10 GHz Gunn diode in a well designed cavity, with stable load and stable temperature, can maintain a stable frequency within a few kilohertz to several minutes. The receiver for a Gunnplexer is based on a mixer diode. 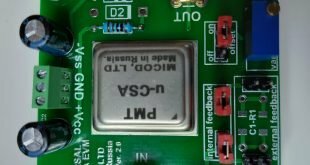 You can use the same Gunn diode as a mixer diode, and this is done in very economic applications, but for communications over reasonable distances, a separate mixer diode is necessary. A high-sensitivity Schottky barrier diode is the best choice. It is positioned in the waveguide so that it intercepts energy that is transmitted and also the energy that is received. The diode mixer mix the output signals and input and produces the difference signal which constitutes the signal received by Gunnplexer. 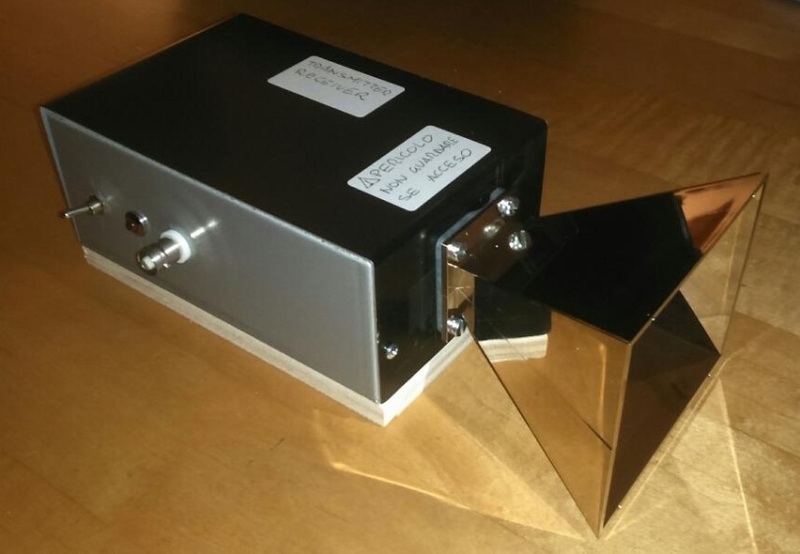 Our transceiver consists of a Gunnplexer powered by a stabilized DC voltage from 8-9V. In our equipment a 1.5V battery pack has been, it is connected to a 7808 type voltage reducer which generates stabilized 8V. The output of the mixer Gunnplexer diode is connected to a BNC connector so you can use the device also as a receiver. The RF signal generated by Gunnplexer has a frequency of about 10GHz , corresponding to a wavelength of 3cm. In the picture above you see the transceiver with the horn antenna and the BNC connector for output signal. To the right is shown the interior of the transceivers with the power supply section based on 8 1.5V batteries, for a voltage of 12V which is reduced and stabilized at 8V from a 7808 converter. With the setup that you see in the picture above it was measured the intensity of the outgoing beam from Gunnplexer transceiver. It should be noted that between Receiver and Transceiver a standing wave is present due to interference between the transmitted wave and the reflected light from Receiver. From the graph that shows the the intensity vs distance it is evident a spatial period of about 15mm, that is, the intensity presents a relative maximum when the receiver is located at a distance multiple of this quantity, knowing that the standing wave has the corresponding maximum in λ/2, one can deduce correctly that the wavelength has a value of 30mm. The intensity follows a downward trend as one would expect, the rate of increase does not follow, however, the trend of an isotropic emitter, but decreases more slowly due to the gain of the horn antenna. Using the same setup is possible, by moving the receiver laterally, thus preserving its distance from the transceiver, to evaluate the spatial distribution of the microwave beam. 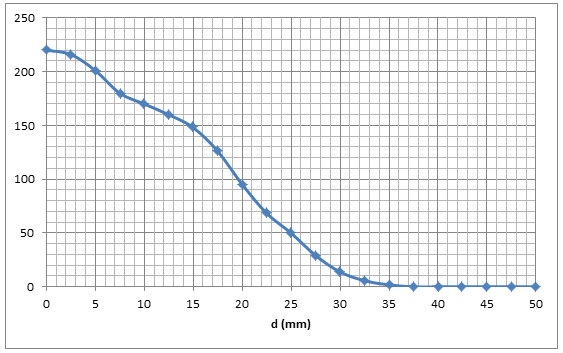 The beam profile roughly follows a Gaussian pattern with a FWHM of approximately 40mm at a distance of 25mm. Whereas the opening of the wave guide is of 20mm it can be inferred a spatial divergence of about 30°. The microwave beam generated by the gunnplexer may cause damage to the eye. Never look directly at the inside of gunnplexer when turned on.